The S3ADS320M12BSM40LL is an ultra low-power 12-bit high-speed SAR ADC IP with a sampling frequency up to 320MS/s, targeting high-speed MIMO protocols, that are power and area constrained. 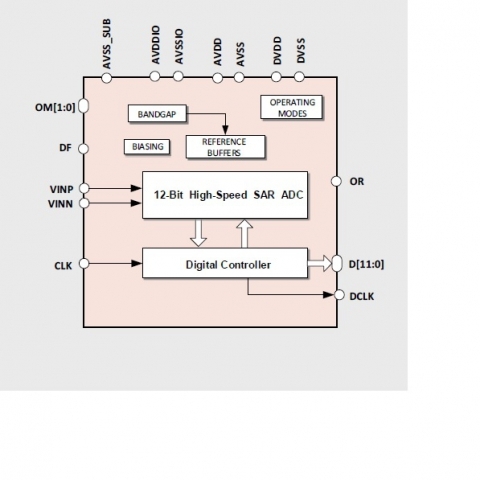 Considering a 10.7MHz input frequency and an input range of 1Vppdiff, this ADC IP features an outstanding dynamic performance that includes 78.9dB SFDR, -77.6dB THD, 62.4dB SNR and 10.0-bit ENOB. This high-end performance is obtained while dissipating a mere 21.8mW for the complete ADC solution including internal reference voltage generation. That corresponds to an ultra-efficient figure of merit of only 66.5fJ per converted sample. The S3ADS320M12BSM40LL does not require any special analog options, and can be cost-effectively ported across foundries and process nodes upon request.